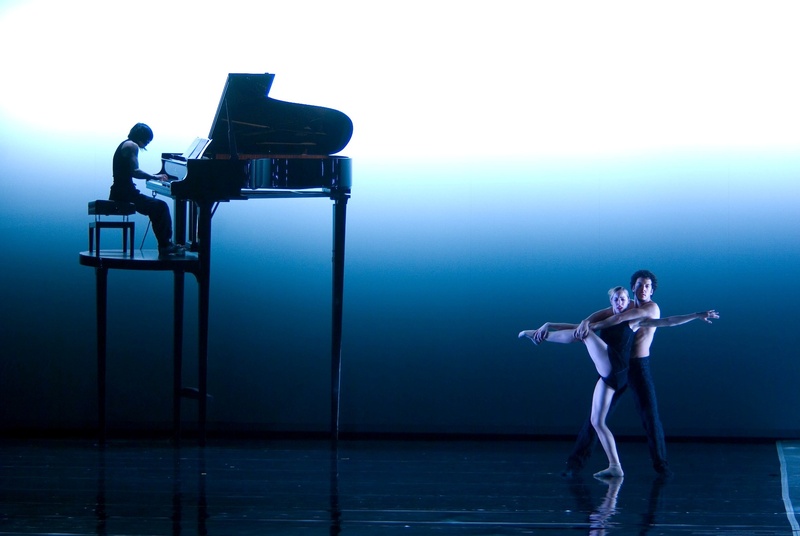 Nederlands Dans Theater (NDT) has forged a reputation as one of the most innovative and original dance groups in Europe, combining virtuoso classical technique with intriguing visual sets and themes. Master choreographer Jiří Kylián asked Tomoko to collaborate on his choreography Tar and Feathers. 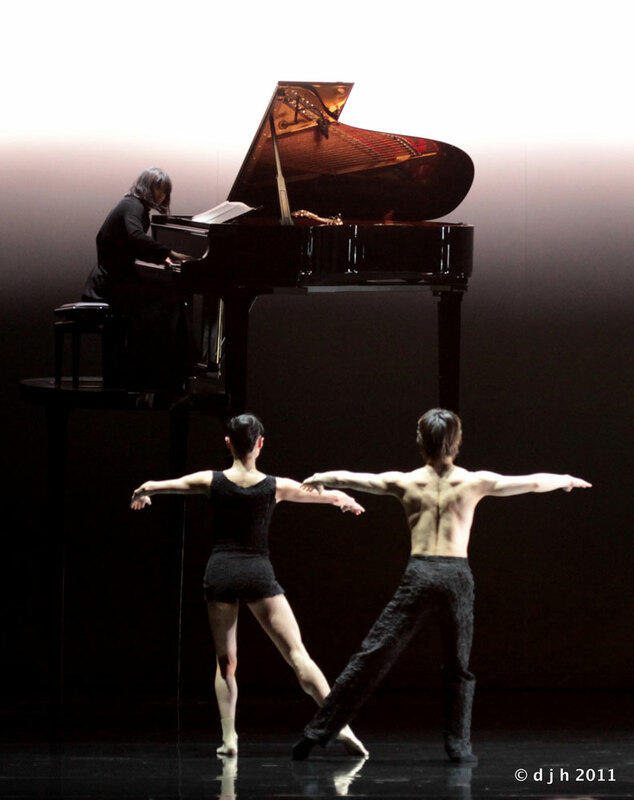 She improvises around Mozart’s music at a grand piano perching spectacularly on metre-high legs. Against this stunning musical back drop, six dancers perform intriguing, mysterious movement in a surreal black and white world.